God created a world that was designed to reflect His glory. Our lives are tapestries created by Him. He is working on the canvas of our lives so we can bring glory to Him. That is our sole purpose here on earth. But instead of following His agenda, we followed our own. Because of our choice, He leveraged our sin for His glory by sending His Son to die for our sins. Every time we call Him Father, it is a reminder of His immeasurable greatness and our immeasurable gain. Everything that happens to us in life, whether good or bad, is for His glory. This series reminds us that one day every knee will bow, and tongue will confess that Jesus Christ is Lord to the Glory of the Father. PassionDVD: Canvas by Louie Giglio was published by Passion Resources in August 2015. 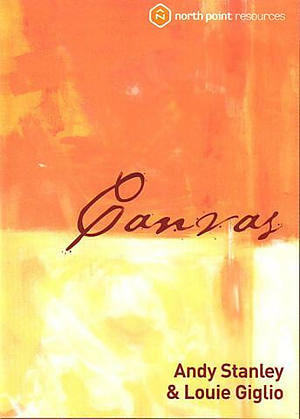 The ISBN for PassionDVD: Canvas is 02G00D. Be the first to review PassionDVD: Canvas! Got a question? No problem! Just click here to ask us about PassionDVD: Canvas.